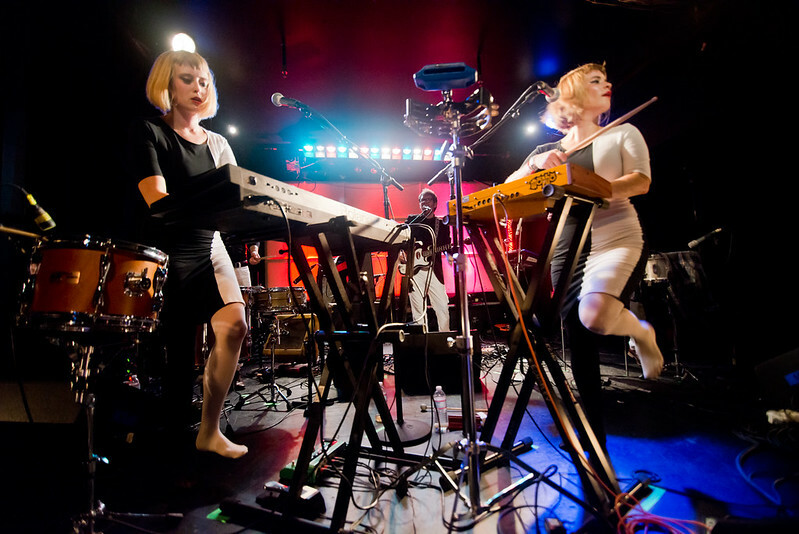 Lucius performs at The Echo last August. They look like a '60's girl group. They sound like a melding of classic Americana and a church choir that's backed by a high school marching band. But once you hear this quintet, everything starts to make sense. Their name is Lucius, hailing from Brooklyn but has roots in Los Angeles. Their debut album Wildewoman drops tomorrow (Mom + Pop) and they've been generating a lot of buzz since they released their EP last year, getting shout-outs from music taste-makers like Time Magazine, New York Times, NPR and Rolling Stone while already playing at some of the most noteworthy music festivals like Bonnaroo, CMJ Music Fest and SXSW. Currently, they're on their fall tour supporting their upcoming release. Check out their new video below for "Turn It Around" which is off Wildewoman.